A NEW generation of video bloggers — or vloggers — is achieving the kind of celebrity status usually associated with pop stars and footballers, leading to concerns about pressure for secret advertising. Some vloggers attract more YouTube views than One Direction or Justin Bieber and are using their vast followings to amass seven-figure fortunes through advertising revenue, brand sponsorship and product placement. As well as computer games and music, vlogs specialising in fashion and cosmetics are popular. According to a study by Pixability, an American marketing company, just 3% of the 14.9bn beauty-related videos currently on YouTube were posted by the brands. 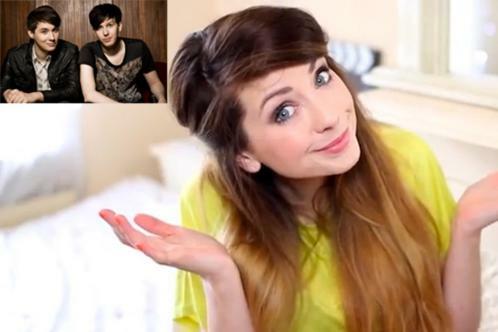 Zoe Sugg, 23, known to fans as Zoella, is among Britain’s most successful beauty vloggers. Sugg, from London, won best British vlogger at the Radio 1 Teen Awards last year and her blog attracts 1.5m unique visitors every month. It can be a lucrative business. According to digital marketing agency eight&four, vloggers can charge up to £20,000 a month for banners around the edges of their web pages and £4,000 for a mention of a product or for a post on Instagram or Twitter. In America, Michelle Phan reportedly earns $5m (£3m) a year from her hair and make-up videos. But the commercial pressures on vloggers have raised concerns about whether some are being transparent enough when they are paid to endorse products or brands. Such concerns recently led the Advertising Standards Agency to issue new guidance. The growing appeal of vloggers is typified by Olajide Olatunji, 20, known to his fans as KSI. He started making videos four years ago and his films, in which he plays computer games and comments on the action, have been watched more than 1bn times. Olatunji, whose success is thought to have made him a millionaire, has 7m subscribers and regularly posts videos of him playing games against footballers such as Rio Ferdinand of Manchester United and Alex Oxlade-Chamberlain of Arsenal. Chivers said Olatunji had no sponsorship deals with games firms and that any product endorsements for items such as headphones and trainers were made clear to viewers. Tanya Burr, 24, from Norwich, has just launched her own range of lip gloss and nail polish which is stocked by the chemist chain Superdrug after the success of her online make-up tutorials. She says her success lies in her relationship with her fans and stresses the importance of transparency when it comes to working with brands. “I turn down 90% of the work I get offered,” she said. “I have such a close relationship with my audience, even though there are nearly 2m of them. I want them to trust me. Joe Harland, head of visualisation at BBC Radio 1, said the vlogs of DJs Dan Howell and Phil Lester, better known as “Dan and Phil”, are so popular that when they arrive at Broadcasting House for their Sunday night request show, they have to enter by the back door for fear of being mobbed by fans.